Congratulations on taking your first step towards purchasing real estate. You are educating yourself by doing a great deal of research. You realize that real estate offers a number of benefits including building equity, investment opportunities, creating a wonderful environment for you and your family. Buying a home is an exciting and complex adventure. It can also be a very time-consuming and costly one if you're not familiar with the process and don't have all the information and resources at hand. You need a strategic advisor, DK England, to walk you through the legal process, identify opportunities, and employ sophisticated negotiation tactics. 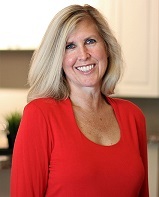 One of my specialties is representing the best interests of Greenville area buyers throughout the home buying process. My comprehensive, high-quality services can save you time and money, as well as make the experience more enjoyable and less stressful. If you're like most people buying a home is the biggest investment you will ever make. So whether you're buying a starter home, upsizing/downsizing or looking for an investment property, why not take advantage of my experience as a local market expert? If your focus is in Greenville County or Western Spartanburg County (Greenville, Greer, Simpsonville, Taylors, Travelers Rest, Paris Mountain). I can assist you in making the most informed decisions, every step of the way.